Traditionally, kids have regarded "homework" and "fun" as the most contradictory of terms. Homework is a thief of free time, an exercise in tedium, an excuse for parents and teachers to pile on impossible expectations and claim "someday you’ll thank us." Children don’t care about "someday". They want to enjoy themselves now. Well, it may come as an all-around surprise, but homework and enjoyment don’t have to be mutually exclusive. First, understand there’s nothing unreasonable about a student, having just completed six hours in a classroom, wanting a break before doing any more work. Kids forced to always finish "homework before play" not only associate school with endless hard labor, they usually accomplish less—and with more difficulty—than students allowed unstructured leisure time after school. If you’ve ever added a personal touch to an office or cubicle, you know work is more enjoyable when its space includes a bit of unique you. So take your kid shopping for a special homework desk, and let him make a few arts and crafts to decorate it. Make sure seating and ambient temperature are comfortable; add a special pen or mouse pad to work with; and homework will take on fresh appeal. "Now you can go out and play" or "Now it’s time for bed" isn’t really a satisfactory way to end homework—at best, it reinforces the idea that assignments are just something to be gotten through on the way to something more enjoyable. 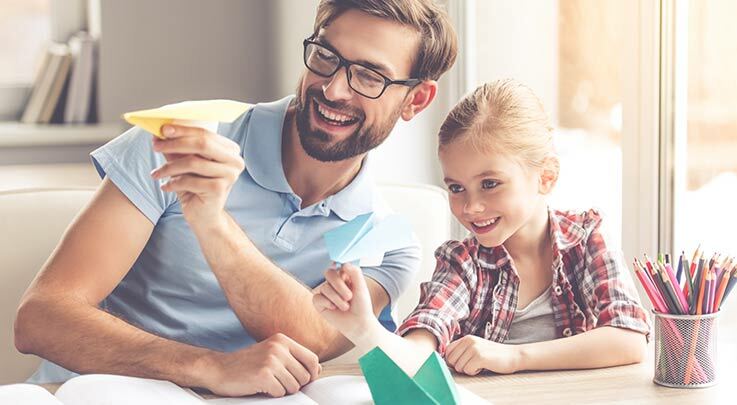 The “enjoyable” will feel more an inherent part of the homework if you end each work period with a family game, a favorite snack, or an evening reading session—something that winds everything up with a sense of satisfaction. Include exercises for all skills: creative, literary, memorization, and mathematical. Don’t always give everyone the identical assignment. Help them modify work to suit individual tastes. Have daily class discussions to compare challenges and insights from the previous night’s assignments. If you yourself have been seeing homework as a necessary evil, start thinking of it as a fun opportunity—and watch your students’ attitudes change to match!